With over 30 years of expertise, LSBU Law has shaped the professional futures of thousands of law students. This course offers a mixture of international human rights law, development studies and refugee studies modules. You'll explore contemporary debates in the context of specific countries and themes. You'll gain knowledge of the protection of international human rights within the context of international development and refugee practice and the role of a rights-based approach to international development practice. Vice-Chancellor's scholarship recipient and LSBU alumni Victoria Akinyode's decision to retrain and try a new career path turned out to be the best decision she had ever made. 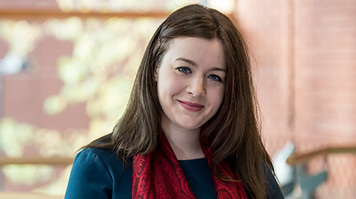 Laura Foley's work experience and studies led her to the realisation that she wanted a career working with migrants and refugees. You'll study core subjects such as the nature and development of international law, sources of international law, the subjects of international law, international institutions and the international protection of human rights. The aim of this module is to develop your intellectual, practical and transferable skills in the context of International Public Law and the protection of human rights. Contemporary issues in development The module aims to provide a comprehensive and detailed introduction to the contemporary challenges facing developing countries in the coming years. Topics vary from one year to the next, but currently the focus is on issues of poverty and poverty reduction; aid and its effectiveness; debt and debt servicing; governance and transparency; the environmental impact of development; patterns of inequality; the impact of urbanisation; and more generally, on changing economic relations within the world economy following the 2008-9 global crisis and subsequent events. The course also assesses the main developing strategies followed by selected middle and low-income countries, with detailed case studies drawn from Asia, Africa and Latin America. It also examines these topics from a gender perspective. Aims: The module aims to introduce students to the analysis of general issues of development by focusing on selected subjects amenable to an interdisciplinary approach. Topics are selected for their contemporary relevance and for their importance to the future development of developing countries. They are also areas around which there exist thorough, detailed and accessible bodies of literature. International Human Rights and development Students will study Human Rights and Development in the context of specific countries and themes. Lectures will introduce students to key topics such as the UN procedures and Human Rights Activism. Students will then research these topics in the context of a specific country (such as Myanmar, Nigeria or Pakistan) and theme (such as Forced Labour, Fair Trial, Torture or Violence against Women). Seminar discussion will be based on students’ research on their selected country and theme. There will be an emphasis on developing effective strategies for combating human rights abuses. Assessment is by a single piece of Coursework. Economies in Transition: strategies for development The Module Analyses and assesses the main development strategies implemented by developing countries in recent years, focusing on case studies from Africa, Latin America and Asia, outlining their key achievements and problem areas. This analysis then forms the basis for examining the possibilities for and outcomes of different types of industrialisation in the coming years, within a global context. The module combines detailed case study examples from particular types of industrialising economy, including examples from the rural, services, and raw material extractive sectors. Aims: This module aims to introduce students to the relative advantages and disadvantages of different and contending approaches to, and strategies for, the development of manufacturing, service and raw material –based industrialisation. In this module you'll focus on the legal principles that comprise International Humanitarian Law. The module considers the history and development of this area of law. The module will consider sources of International Humanitarian Law. Specific topics include, protection of women in armed conflict, the protection of children in armed conflict, enforcement of International Humanitarian Law, conduct of hostilities, combatants, non combatants and unlawful combatants. Forced migration and resettlement The module introduces the concepts of refugees, internally displaced persons and analyses the interface between development and forced displacement, as well as resettlement. It examines the complex causes, solutions and consequences of Forced Migration and resettlement in the developing societies of Africa, Asia, Latin America and the Caribbean, as well as the responses of the international community, host governments and populations to the plight of refugees, returnees, IDPs, oustees. It also examines how displaced populations reconstruct their livelihoods and how they relate with the hosts in the areas concerned. International refugee law The objective of the Module is to enable students to place the law in its context, and develop a critical appreciation of the law’s content, application and possible reform. Students will learn the centrality of law in protecting the rights of refugees - in this field, perhaps more than any other, actions are often motivated on the basis of humanitarianism: refugees are assisted out of a benevolent and charitable spirit.This has pernicious consequences, including disempowering the refugees and forced migrants and creating a haphazard, unreliable system of assistance. Understanding that all forced migrants are the holders of rights, and part of an international regime of protection, is the essential basis on which to take forward work in this field. The module begins with an introduction to the basic principles of international law that are central to understanding how international refugee law operates. Next, students will examine how refugee law is “brought to life” through a discussion of the relevant domestic and international institutions and mechanisms. The last four classes deal with the substantive content of international refugee law: students will learn who a refugee is; they will learn about non-refoulement, and a possible right to asylum; about exclusion and cessation; and about international law relating to Internally Displaced Persons (IDPs). The final section of the course will examine specific issues in refugee law: the overlap between refugee protection and trafficking, gender based persecution; they will learn about the international legal regimes that apply to refugees at sea, and to the trafficking of people; also, the common European asylum system will be reviewed and critically assessed compared to other systems of refugee protection. The course will conclude with a debate on the future directions of international refugee law. In this module you'll enhance your knowledge of the structure and process of the Criminal Justice System in England and Wales via an in-depth analysis of complex case management. You'll explore relevant statutory provisions regulating the management of cases, and explores some of the socio-political issues that arise from the function of the law in practice. You'll be provided with a critical overview of the system of justice and the key procedural decisions that are made within the system. You'll consider the process of justice via practical, classroom based, engagement with the litigation process, using a dedicated case study and group-based work to enhance their practical and theoretical understanding of the criminal process. Forced migration in developing societies The module examines critically the varied and the complex forms of conflicts that cause internal and external population displacements, the quality of protection and rights accorded to rural and urban refugees, the roles of inter-governmental and non-governmental organisations, assistance programmes—emergency relief, self-sufficiency, refugee aid and development, the relationship between refugees and host populations, repatriation and (re)-construction of post-conflict societies. You'll graduate with the necessary knowledge and skills to work in the fields of law, human rights and development (either in the UK or abroad) as advisors, experts, researchers and policy makers. With a background in law, you might practise in human rights, immigration and asylum, and public law. With a development studies background you might go on to practice in the NGO sector employing a rights-based approach to development. Through our growing pool of visiting fellows and professors, the Law Department has developed a strong network of contacts with leading law practitioners in the UK. Many members of the Law Department are practitioners, or retain strong links with the legal profession. We enjoy strong links with a number of leading European Law Faculties, including Universitie Cergy Pontoise in France, INHOLLAND University in the Netherlands and Zagreb University in Croatia. Roger Smith, Director of Justice. 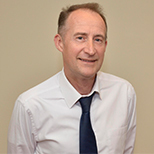 Alan is the Course Director of LLB Law and Undergraduate Law courses, a Senior Lecturer in Law and a practising barrister. 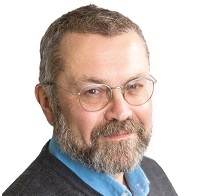 Alan has Senior Fellow status with the Higher Education Authority. 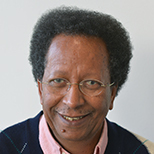 Professor Gaim Kibreab's interests include forced migration, development and governance in post-conflict societies. Andy Unger is Head of the Law Division and a Solicitor. 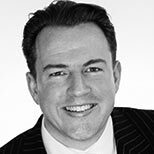 He specialises in Legal Education, International Human Rights and Medical Law & Ethics. LSBU Law has a strong set of experts, consultants and international advisors in the field of Human Rights and hosts a number of annual events and conferences. Head of the Law Department, Andy Unger, has worked as a consultant in former communist countries such as Armenia, Azerbaijan, Belarus and Georgia. In the South Caucuses, his most recent working has been with the British East-West Centre, designing and supervising the British Foreign and Commonwealth Office funded projects offering human rights training to lawyers and justice officials in the region. Senior Lecturer in Law, Caron Thatcher, has observed elections in many parts of the former Soviet Union including Azerbaijan, Kazakhstan, Belarus, Kyrgyzstan and also in Russia itself and monitoring the final election of Mr. Putin in 2004. An LLB (Hons) Law degree at 2:2/Bachelor degree equivalent to UK Second Class Honours Lower Division. UK graduates with a non Law degree (2:2) and relevant knowledge and experience. 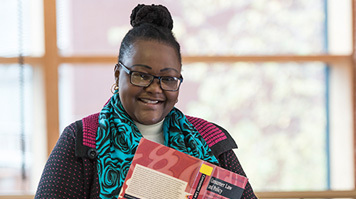 LSBU's LLM International Human Rights and Development was the perfect course for alumna Lady-Marie Dawson-Malcolm, who also received a Vice-Chancellor's Scholarship to help fund her studies. 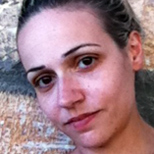 Kyla Morris is a recipient of the Vice Chancellor's Scholarship and is now studying the LLM International Human Rights and Development course at London South Bank University. Steiner, H.J. et al (2008): International human rights in context: law, politics, morals. Oxford: Oxford University Press.